Can you believe it? Facebook is ten years old today. Mark Zuckerberg — along with co-founders Dustin Moskovitz, Chris Hughes, and Eduardo Saverin — launched Facebook while attending Harvard University in 2004. Facebook now employs more than 6,300 people all over the world. The company has an annual sales revenue approaching $8 billion, with a net income of $1.5 billion. Just how popular IS Facebook? There are more than a billion Facebook users, and guess how many people use Facebook on an average day? 757 million! To give you an idea of how many people that is, that’s more than twice the total population of the United States. And 81% of those users are outside of the U.S. and Canada. Despite what you may hear to the contrary, teens 12-17 are still quite active on Facebook. The average number of Facebook friends among adults is 338. 64% of Facebook users visit the site every day. 44% of people “like” something their friends post at least once a day. 31% comment on a post at least once a day. As many as 25% of Facebook users say they never update their Facebook status. Facebook Pages was introduced in 2007, presenting brands and organizations with a way to engage with followers. 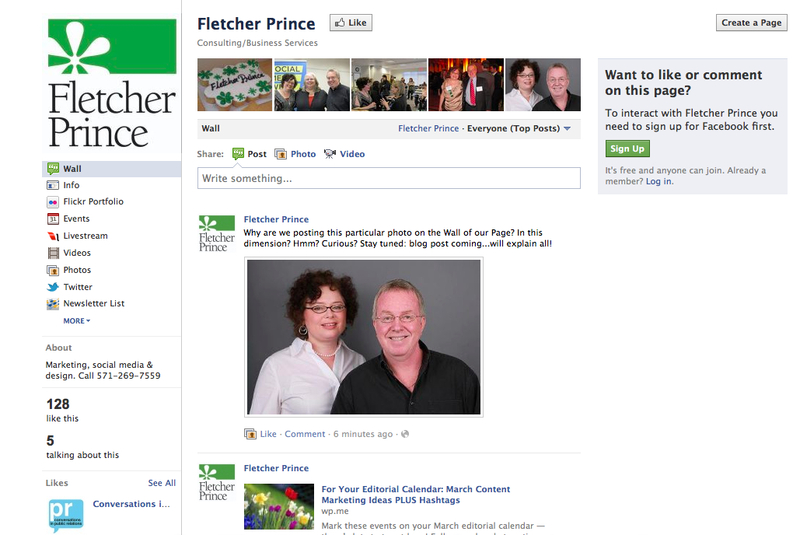 That’s when we started our Fletcher Prince Facebook Page and started building branded Facebook Pages for our clients. Do you have a Facebook Page? The average number of fans of a Facebook Page (in the category of Pages with 1,000 followers or less) is now 327, up from about 130 a few years ago. The top five brands on Facebook in the U.S. today are Wal-Mart, Target, Amazon.com, Samsung Mobile USA, and Subway. Wal-Mart also has more “Likes” (what we used to call fans) than any other Page on Facebook. Nonprofits do well on Facebook. 57% of Facebook fans say they liked a nonprofit on Facebook to show their support of the nonprofit to their friends. But 43% un-liked a nonprofit if it posted too many updates asking for money. President Barack Obama is the politician with the most fans/likes on Facebook. Eminem is the celebrity with the most fans/likes, and Family Guy is the show with the most fans/likes. The most popular museum on Facebook is the Museum of Modern Art (MOMA). The day that gets the most engagement on posts on Facebook Pages is Thursday, with photo updates getting the most likes of all (results vary, depending on Page category and content). Updates that pose questions generate the most comments on Facebook Pages. 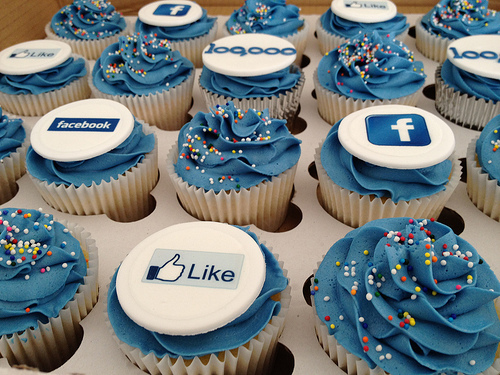 Do you know why people like brands on Facebook? Learn why in this short video that also highlights Fletcher Prince Facebook services. The profile image/logo has a prominent placement within the Timeline cover image. As we design branded Covers, we find it is best to work with the profile image rather than fight with it. This reminds me of a time I was watching my dad finish a painting. He was getting ready to put in his signature. I asked him if he always put it in the same place. He said, no, you have to find a “home” for the signature in the painting. 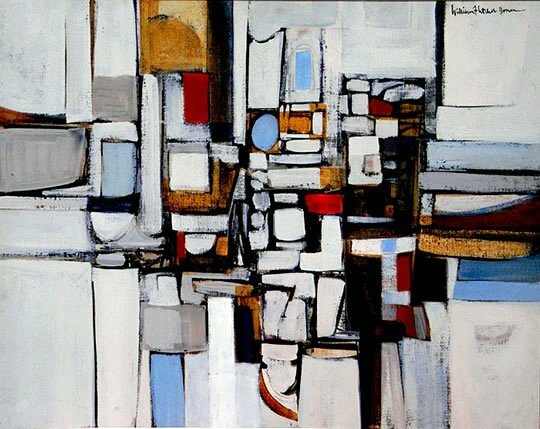 So the size, location, and color of the signature would vary from painting to painting. I was thinking about this in relation to the Timelines Cover images. The profile image really needs to have a “home” within the Cover image. Could a tagline have also been included here in the Cover? Maybe, but I think the text would have been too busy and would have competed with the R. What you want for many Facebook Cover images is a compelling photograph or design that complements the profile image. 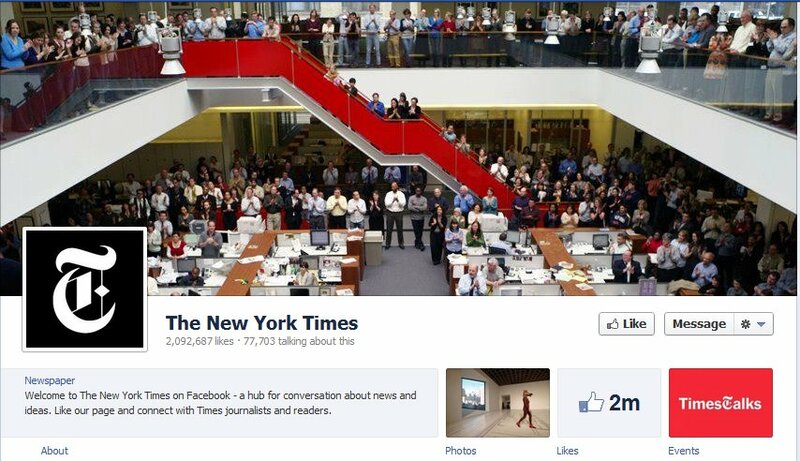 With Facebook Timeline Covers, you have to know when to walk away. When planning the Timeline image for other clients, I also look at the Cover in terms of balance and composition. For example, there is a good space in the upper right corner. You don’t want to crowd the left side too much, since the profile picture is there. 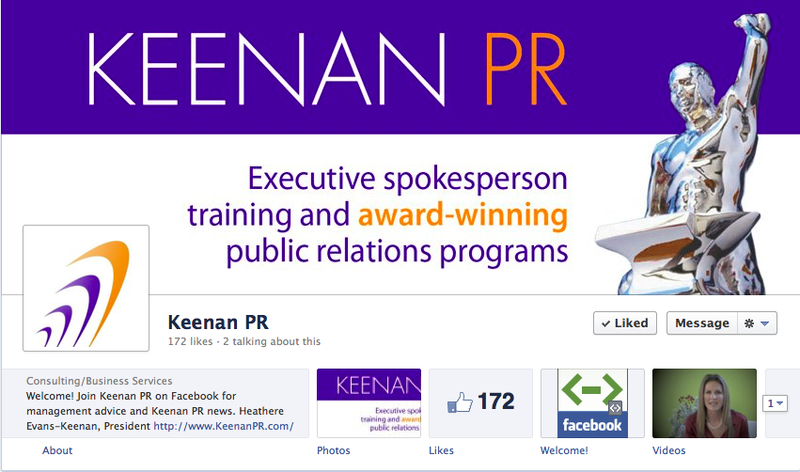 That is the approach we took with this design for the Keenan PR Facebook Page. This is basically a banner ad she already (created by another designer) that she liked that we reworked for her as a Timeline Cover. 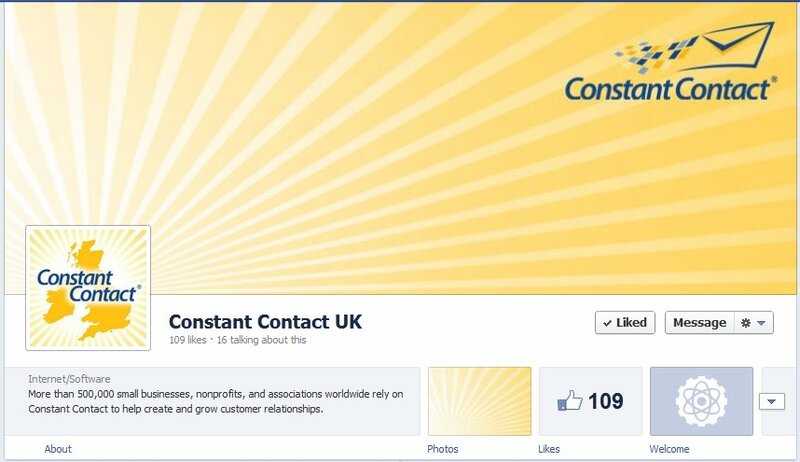 This is also a good example (we didn’t design) from Constant Contact UK that gives the profile image a “home” in the Timeline Cover and makes good use of that upper right corner/sweet spot… You can tell this image was designed expressly for Facebook. There is also a really nice flow, composition, and a great match between the Cover image and the profile image in this example from Manchester United (we did not design this one, either). Look, by contrast, at this one from the New York Times. I suppose with that red staircase that it’s an interesting photograph. But does it make a good Timeline image? In my opinion, no. Nothing about the image communicates anything about the attributes (or a single attribute) of the New York Times (other than they have a lot of employees and a really cool staircase). It’s not memorable. It doesn’t play nicely with the profile image. 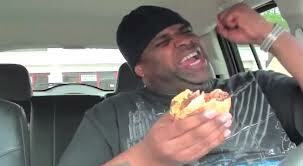 I think they should give this one another shot…. Facebook is a fun and friendly environment, and it has a certain cool factor. Being overly corporate on Facebook would be a mistake just as it would be a mistake to use business jargon at a backyard barbecue. 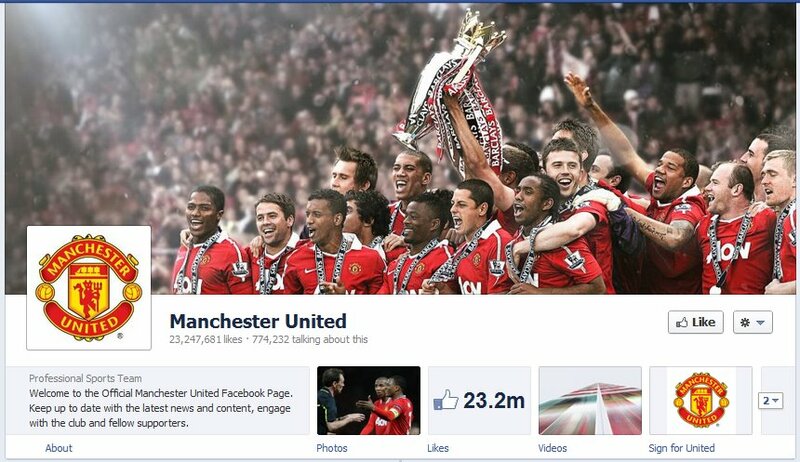 Brands have a real opportunity with these Facebook Page Timeline Covers. It’s worthwhile to design them well — to delight the viewer, as well as convey a message. Remember back in September when I blogged that Facebook would most likely shift Pages to the Timelines format? Well, that day is here. You can implement the changes right now, or spend the next few weeks getting ready for them, because the changes will go into effect for all Pages on March 30, 2012. And here is the Fletcher Prince Facebook Page after the changes that will take place for all Pages on March 30 (you can go ahead and change your Page now). Are you ready? The main thing you are going to need right away is a branded Cover. You have a month to work with, and we are ready to help you. Depending on the complexity of your design, we can create a new Page Cover image for your Facebook Page for about $125 to $375, estimated. The new Page format is visual and wide. The look of your page will change. Photos will be getting top billing, by default, and as you may know, photos are what get engagement on Facebook Pages. The photo that is featured on your Page front is the most recent photo you posted on your wall, in landscape format. So that is something to consider. The first two “tabs” you have on your Page will be featured most prominently with thumbnails, and the rest of your links will have a click through, so pick the two tabs you like best and move them to the top of the list of your tabs. There are some restrictions from Facebook about the Cover image. You may not put a call to action in the Cover image — you cannot say or suggest someone “like” the Page or share the Page. Facebook specifically restricts this. You cannot include price or purchase information, or any kind of promotional wording. Choose a Cover image — or have us create one for you, because we would love to do that! — that is a creative and original photograph that sums up what your Page is about. For example, if you were a realtor, it might be an image of homes. If your Page was for a restaurant, it might be some menu items or the restaurant interior. If your Page is for a product, it might be an image of people using your product. While you don’t want to get overly promotional, there’s no rule that says you can’t change your Cover from time to time. So, think about seasonal and holiday versions of your Covers, if that is appropriate for your brand. We will offer that design service for Page owners who would like that option. Please contact us to update your Facebook Page Cover Image, and your client’s Facebook Pages. And remember: we also create branded Google + Page banner images, LinkedIn Business Profile banner images, new YouTube layout graphics, blog headers, Twitter profiles, and more. We can create a whole suite of branded social media images for you. If you want to reach and engage your most important audiences, don’t discount the power of images. Online images are proven attention-getters on Facebook Pages and blogs, and can increase your EdgeRank and SEO. 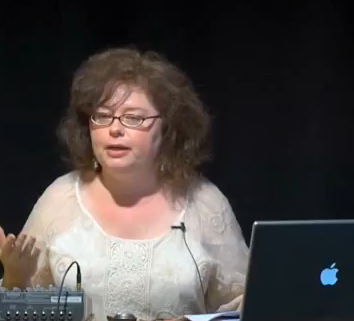 Here are a few practical tips from a presentation recorded in front of a live audience at RHED Pixed in October 2011. Special thanks to Richard Harrington and the video production crew at RHED Pixel. Recorded at RHED Pixel October 2011. Thanks to Richard Harrington and the RHED Pixel video production team for producing the video.